If you’ve been following me for a while you will know my love for glossier is intense, I have genuinely loved every product I’ve tried. So you can imagine my excitement for the launch of Solution. Spoiler: I didn’t like it. 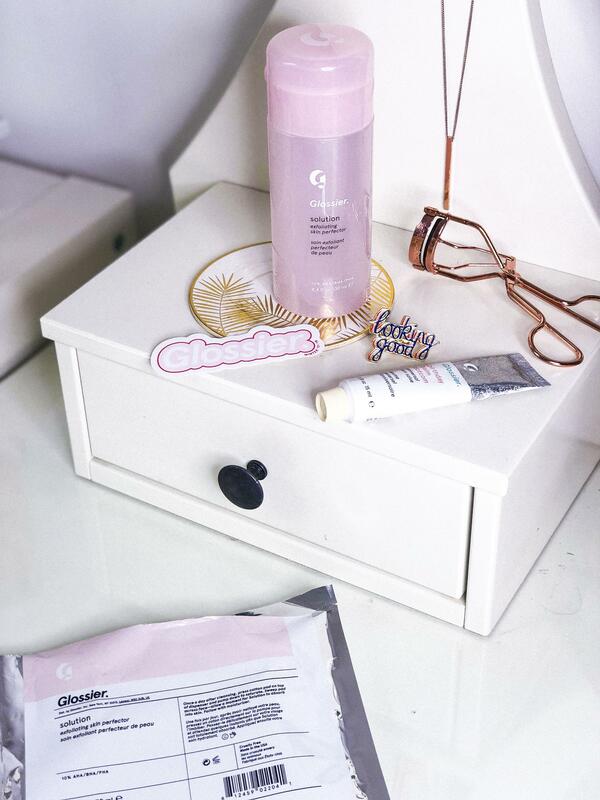 What is Glossier Solution you might ask, well, it is an exfoliating skin perfecter. It is said to gently exfoliate dead skin cells away through chemical exfoliating, to reveal healthy skin underneath. 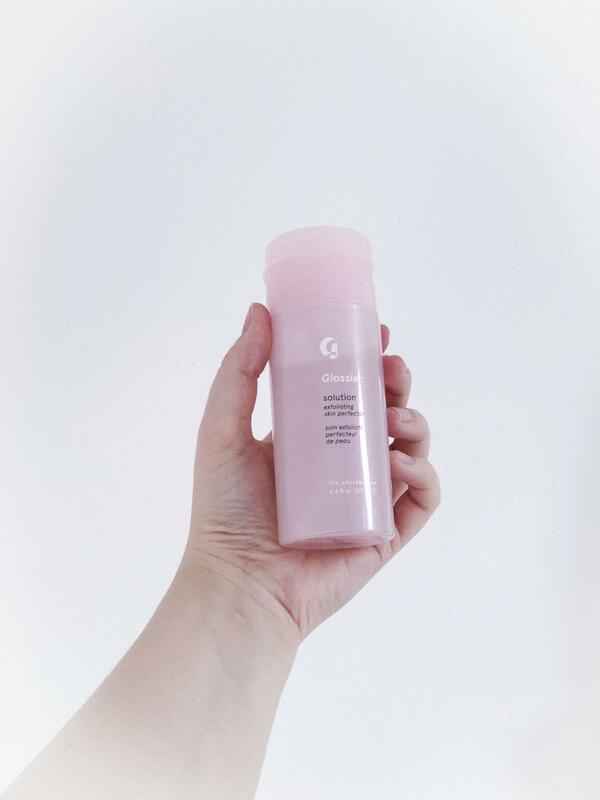 Glossier say that it is for daily use, to the results show a reduction in redness, blemishes and pores, it also states that it will smooth the skin and add a glow to the healthy skin. Just from the sounds of that I was obsessed and needed to get one straight away. 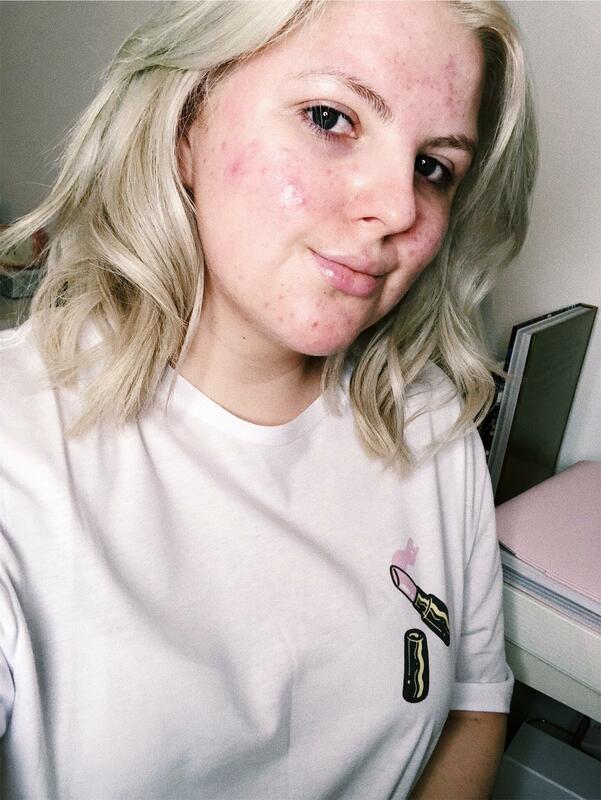 My skin is red, scarred and blemish prone so you can only imagine my excitement to try a product from my favourite brand; that my skin absolutely loves too. Solution contains a 10% blend of three acid actives; Alpha Hydroxy Acid (AHA), Beta Hydroxy Acid (BHA), and Polyhydroxy Acid (PHA). 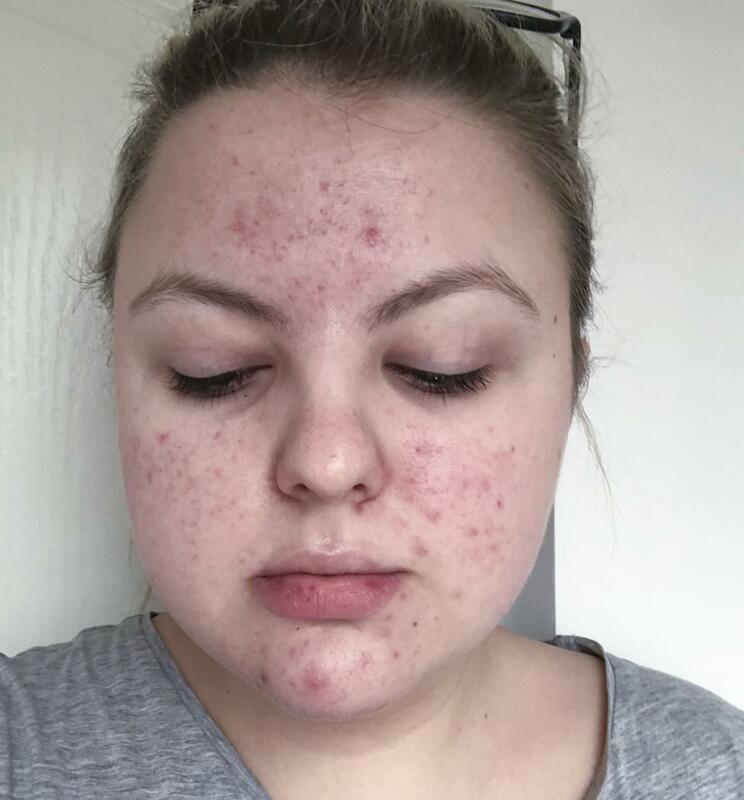 Before I go into my results I wanted to say a bit about my skin. I have never had ‘bad’ skin, even now I wouldn’t class my skin as ‘bad’ (some people might). I see it as my skin changing, hormones, the weather etc. When I was a teen my skin was clear, almost flawless even and I only got the odd breakout around my hormonal areas. However late teens and going into my 20’s my skin changed overtime and I think this was mainly due to stress. 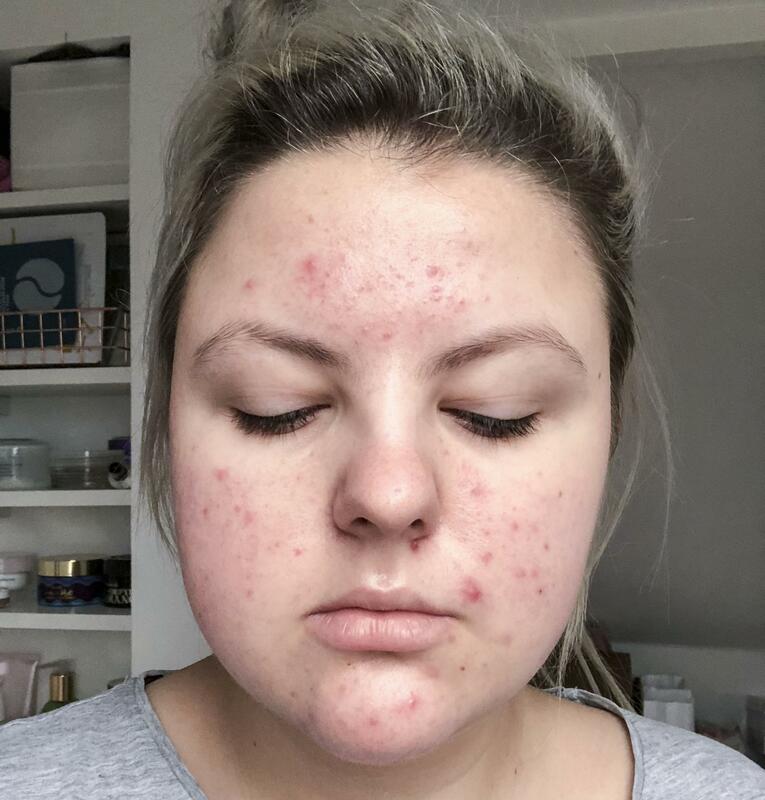 I noticed my skin changing around the time I moved to university, during my second year it was particularly uneven and the redness I would say was at it’s worst. It’s only now that i’ve finished my 3 years at uni its starting to go down. Different products and overloading my skin definitely hasn’t helped but now I know and only use the basics that my skin needs. So my skin as of late is red in most areas, scarred from previous blemishes, textured and uneven. My skin type is typically normal but I can get a bit of dryness around my forehead and cheeks which depends on the weather. The first week of using solution I saw a difference in some of the scarring on my face, they weren’t as deep, the colour fading slightly. 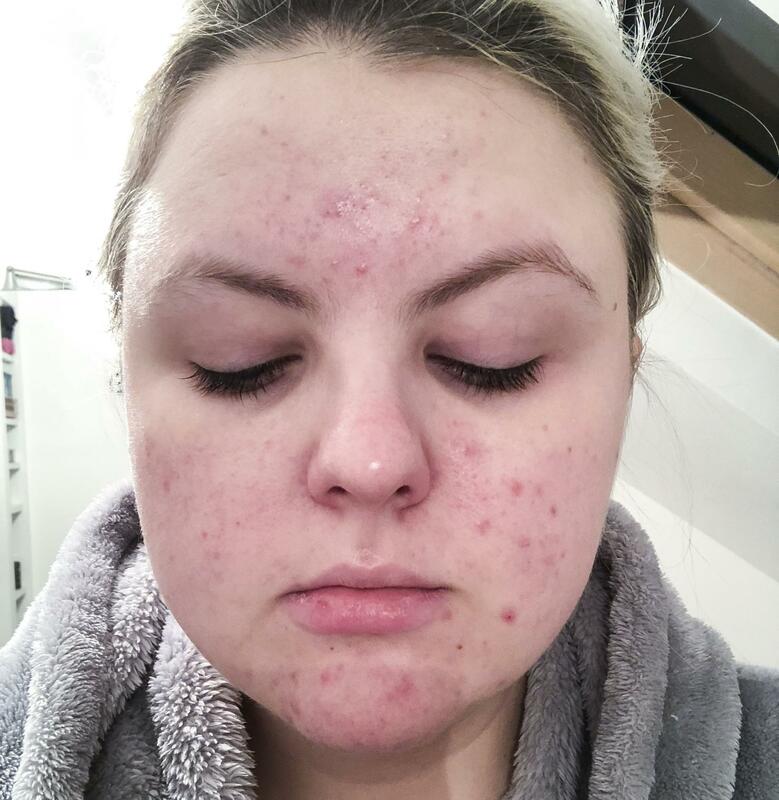 However towards the end of the first week and into the second week I realised that solution was actually drying my skin out, which also caused me to have angry red breakouts that wouldn’t leave. My lips also became very dry and swollen, the skin around them also irritated by solution. I can say for sure that it was Solution doing this to my skin because it was the only new product added to my routine. Sadly I had to stop using it and after reading up about some of the ingredients within solution, I knew it was for the best. The drying of my skin came from the high quantity of Sodium Hydroxide, which comes in second on the ingredient list. Sodium Hydroxide is typically used in a lot of skincare products, but in a low quantity (further down the ingredient list) which is usually fine for me. However when used in a high percentage and mixed with water (first ingredient in Solution) it has an exothermic reaction on the skin. When Sodium Hydroxide is mixed with acids it also makes salt, hence the drying effect. If you want a more in depth explanation of the ingredients used and how they work head over to Caroline Hirons blog post here, she explains it all. 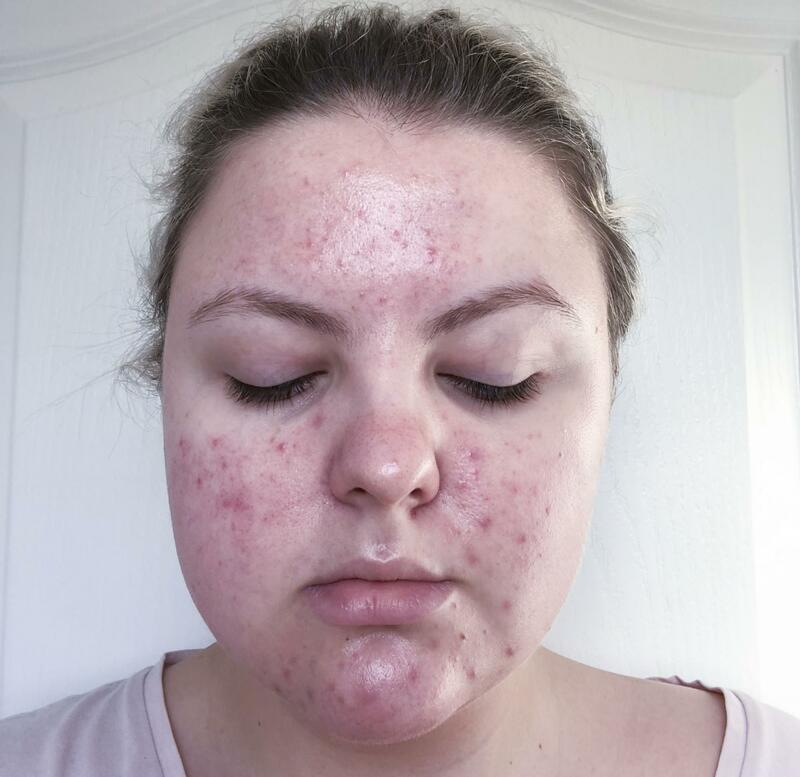 I thought I’d take before and after photos to document how my skin changed with using Solution, I’m glad I did because its great to see how your skin is changing by using different products. Before, during and after photographs. As you can see from just 1 week of using solution I thought it was actually doing something for my scarring, it had taken down some of my redness on my cheeks and overall my skin looked an even colour with no redness breaking it up. However you can definitely see that its caused more breakouts to appear; under my nose, chin, forehead and above my lip. I carried on using it for a second week to see if they’d start to disappear but unfortunately it did the opposite. The difference here in obvious to me, my skin on the right looks a lot more radiant and glowing, whereas the left pic my skin looks dull and dry. Solution actually started to dry out my lips and the skin around my lips also. In the left picture it shows my lips are red, slightly swollen and very sore. The right picture is my skin at the moment, after having stopped using Solution just under 2 weeks ago. Its no where near as clear as it was before I started using Solution but it’s getting a lot better, i’ve been using another AHA product which my skin seems to be loving. I’m documenting my skin journey with the new AHA and will share the results soon. Spoiler: The new AHA is incredible and has already started to transform my skin. This is a bit of a different post to normal but I hope you like it. I want to do more before and after photos, whether thats with makeup or skincare so please let me know your thoughts.